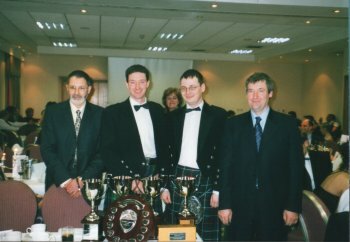 The team was formed in October 1999 when Gordon and Ian made the long trek south from Cumnock in South West Scotland to Peterborough to look at the first car. The team compete on most of the events in the County Saab Scottish Rally Championship and the 5 of Clubs Rally Championship along with a few local events. Click on the links at the top to find out more about the team.